Hello friends, today I am going to discuss a problem that usually comes in between money and our friends. If we have friends, we will go out with them. We may watch movies or dine in at the restaurant together. There may be a chance that you are going to pay your friend's bill. In case you paid for your friend and he forgot to return your money or maybe your friend does not want to return your money, then what will you do? Though many of us are frank enough to ask, when you are going to return my money back or rich enough to forget the due. But some of us who are not rich and also feel shy while asking money to return from our friends. We don't want to lose our money and we also don't want to break friendship with them just for money, What we can do in this situation? don't know? This problem introduces MyPoolin.com to help you in solving all these problems. So today in this article I will write how easy, fast and social it becomes to plan an event with your friends using The MyPoolin Android app. 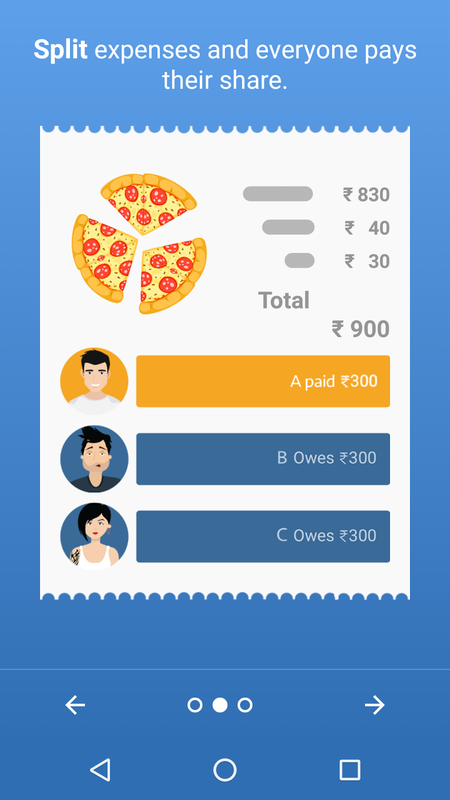 The very basic feature of this MyPoolin is to solve your money pooling problems in a social manner. You can now plan any event on the app. A user can organize an event like trips, movies, food, pizza, parties etc and can collect money from all members. After that the collected money can be redeemed through bank transfer or E-commerce vouchers. 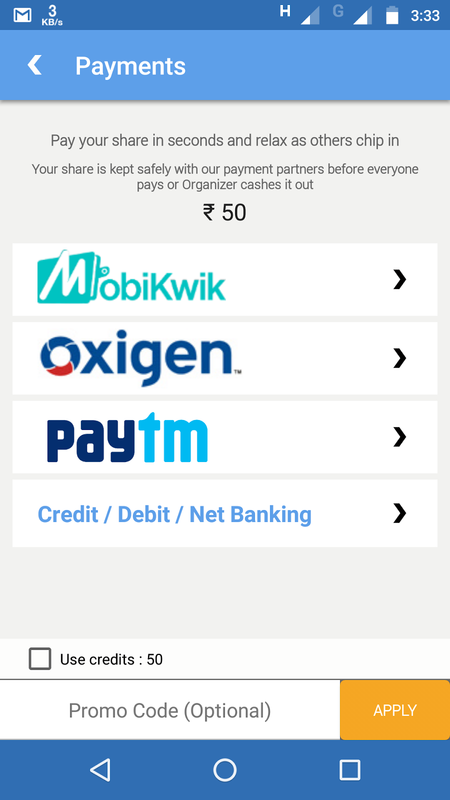 MyPoolin partners with all major online wallets like PayPal, Payu, Paytm, MobiKwik etc. Its simple! Just Invite friends in a group (just like WhatsApp) and once everyone pays their share, you transfer collected money to any bank account! Follow Step By Step Tutorial To plan an Event in MyPoolin Android App. Step 1. Download The Mypoolin App & Register an Account. Step 2. Start a Pool by entering Name, Your Total Budget, your preferred date of the event. Step 3. Everyone pays their share. Step 4. Transfer the collected amount in your Bank or Wallet. MyPoolin is a great in solving our problems of organizing events with friends. They solved everything in a social manner. 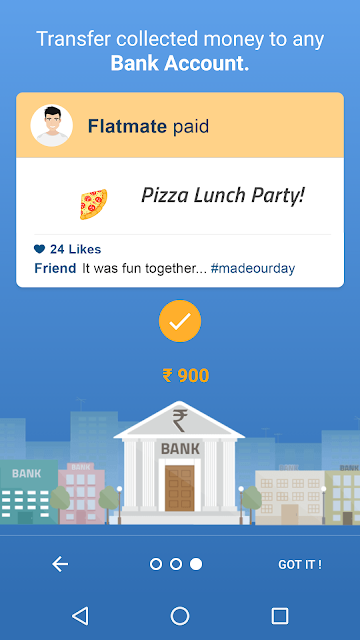 MyPoolin made settling money with friends super easy & fun. This is a unique and innovative concept and everybody should try this once. This app provides you the ability to buy and send gifts to your loved ones. You can see upcoming movies, events etc. and can discuss about the event with your friends. The cool feature is, you can do group chat while planning an event or you can remove a person who is not paying his/her share. MyPoolin is also helpful if you want to collect money for good causes, As it is free to use you can collect money from your friends as a donation to help those in need. Comment and Share the article with your friend.